Visit Us On Facebook and Follow Us On Twitter to Get Our Latest News! We no longer post our news to the website. Join us on Facebook and Twitter for our latest news! Subscribe to our E-NEWSLETTER. The Canadian Canoe Foundation was very fortunate to recently interview one of our Canadian canoeing heroes, Becky Mason. The Living Waters Rally is still open for registration. The inaugural annual rally takes place this September 21-24 at the Four Points by Sheraton & Conference Center Gatineau-Ottawa. 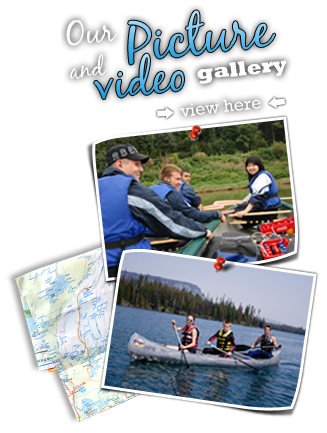 The Canadian Canoe Foundation is a member of the organizing committee and will be attending. 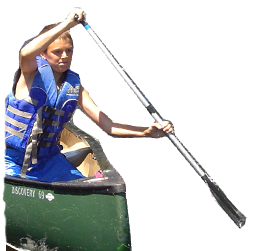 June 26, 2012 marks the 5th anniversary of National Canoe Day, a coast-to-coast celebration of the canoe! On April 22, 2012, celebrate Earth Day by participating in events planned across Canada! Canoe Canada 2012 Project Partners Confirmed. Celebrate World Rivers Day Sunday September 25, 2011 On Sunday September 25, people around the world will celebrate the vital role rivers play in their communities. This World Rivers Day, plan or participate in a river cleanup, a community river festival, or an excursion on a local river with friends or family. For a complete list of these events, please visit: http://evolvemultimedia.ca/RiversdayOnline/Events.php Take the time to celebrate your river this World Rivers Day! Canadian Canoe Foundation designated a Strategic Partner by Paddle Canada. The Canadian Canoe Foundation is teaming up with Ottawa Riverkeeper in the Great River Project. The Canadian Canoe Foundation (CCF) will collaborate with Canoe and Kayak New Brunswick (CKNB), the Miramichi River Environment Assessment Committee (MREAC), the Miramichi Salmon Conservation Centre (MSCC) and Arpin Canoe Restigouche to run a 7 day canoe trip learning adventure for 10 local youth down the Southwest Miramichi River in August 2011. Between September 11th and 16th, 2010 the Canadian Canoe Foundation in partnership with the Restigouche River Watershed Management Committee and Arpin Canoe Restigouche lead an environmental education canoe trip program down the Restigouche River. To learn more, please visit the Restigouche Trip page on this site. June 26th is National Canoe Day!